First breakfast club of 2014! 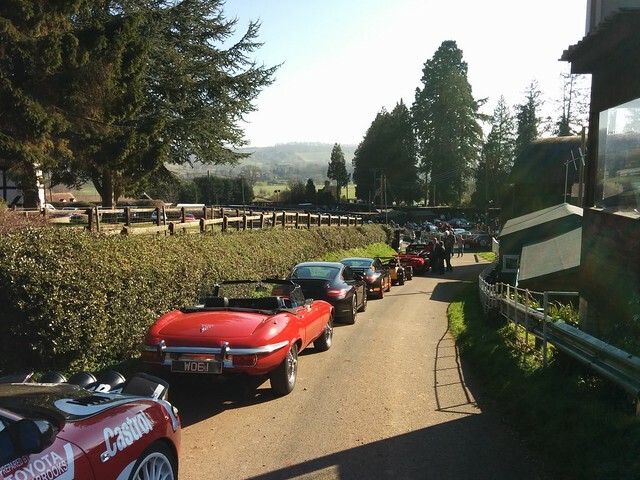 Sunday was a lovely sunny day and a trip to our first Shelsley Walsh Breakfast Club of 2014. The drive there was nice and quiet, good to go through Malvern with little traffic and we were making good progress (the Mondeo was going quite fast enough) until we got stuck behind a steadily driven Triumph Stag with a few miles to go. 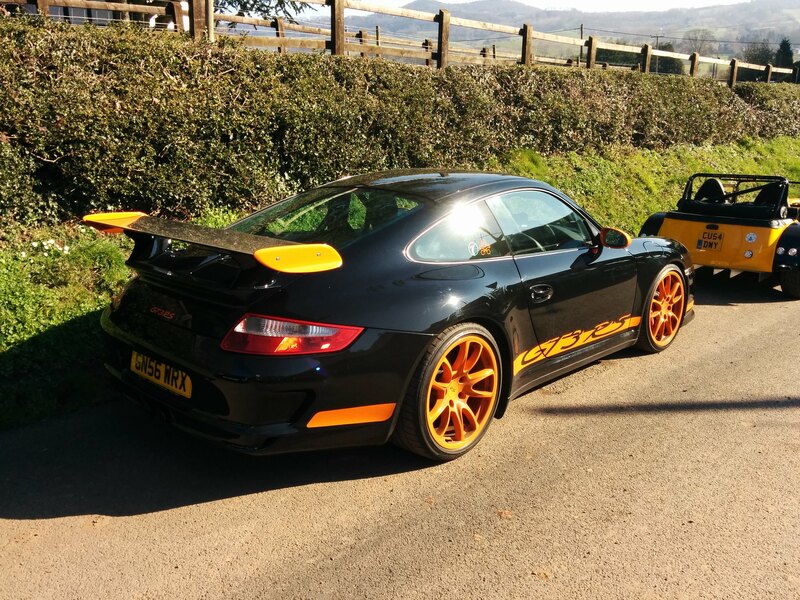 For some reason it pulled into a Farmyard a mile from Shelsley but then reappeared a few minutes after we arrived. 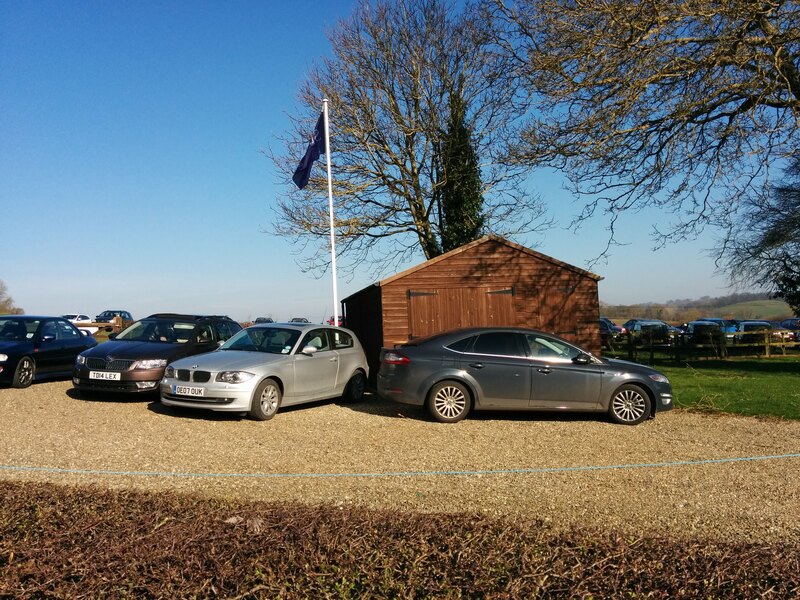 The Mondeo was directed into the parking field used for race weekends and the TVR into the paddock. They must have been expecting a lot of cars to start filtering off the standard cars as we hadn’t seen that before. At 08:55 the paddock was quite quiet – the exclusive area at the top was nearly full but the TVR parking further down was empty. When reversing into the tight spot I thought I may have made contact at the back with one of the pillars at very low speed, but I couldn’t see any damage on bodywork so maybe it was in my head. 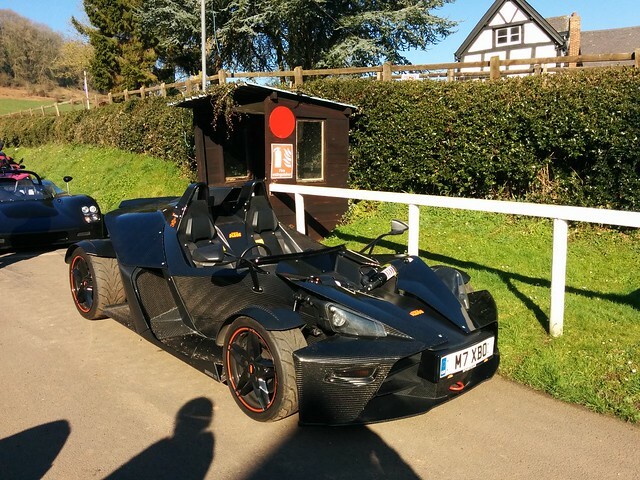 After meeting up in the paddock (and getting the buggy which doesn’t fit in the TVR) we headed off to breakfast. There was a short queue, but by the time we left to sit outside the queue had already extended to the door. 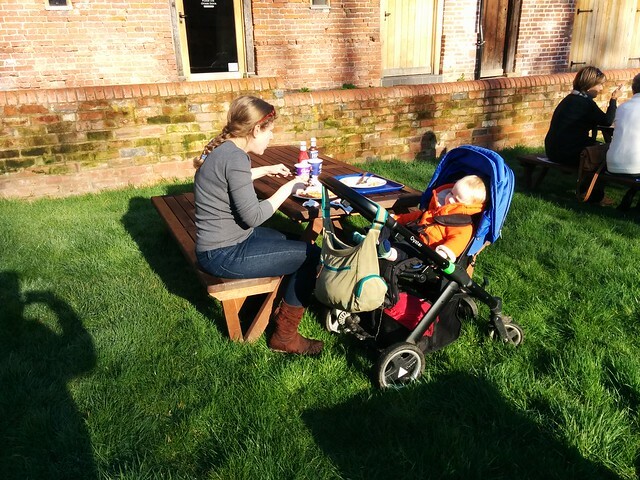 We were the first to choose to sit outside, and it was such a lovely morning I am surprised others hadn’t done so already. Our friends who drive a Vauxhall Monaro arrived as we were starting breakfast. In a bad decision by those who filter the cars they had been sent to the overflow parking field not the paddock. 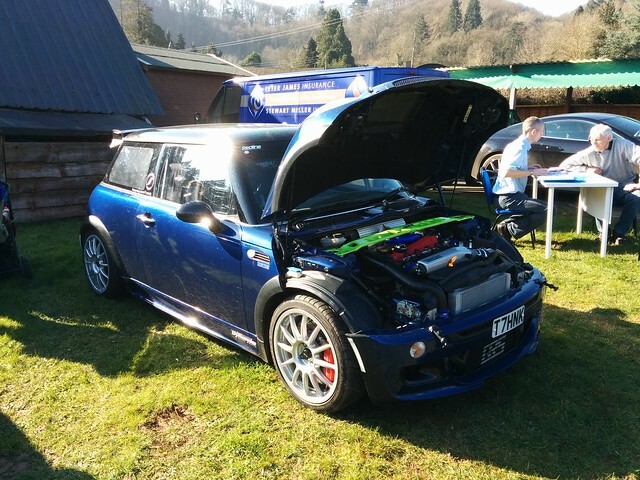 I think this was a poor decisions as Monaros are quite rare and have very large engines. 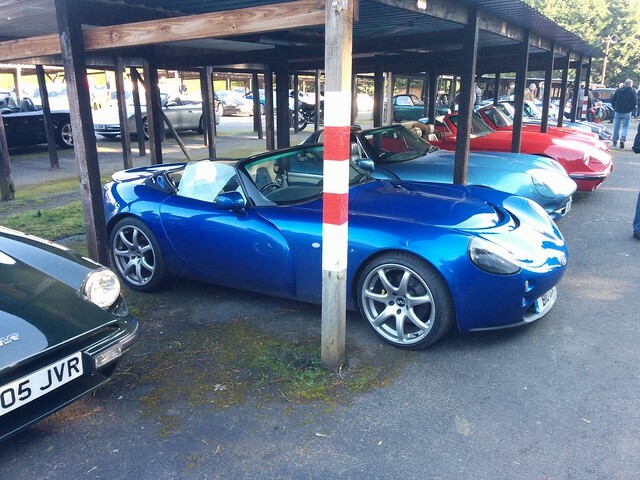 Meanwhile there were plenty of non-exotics in the paddock, including a fair few MX-5s (I like MX-5s, but there are a lot of them) and few very plain non-sporty cars and even a Rover Streetwise! They went to join the queue which was now out of the door. This was a good ideas since by the time breakfast had finished the queue reached to the paddock! 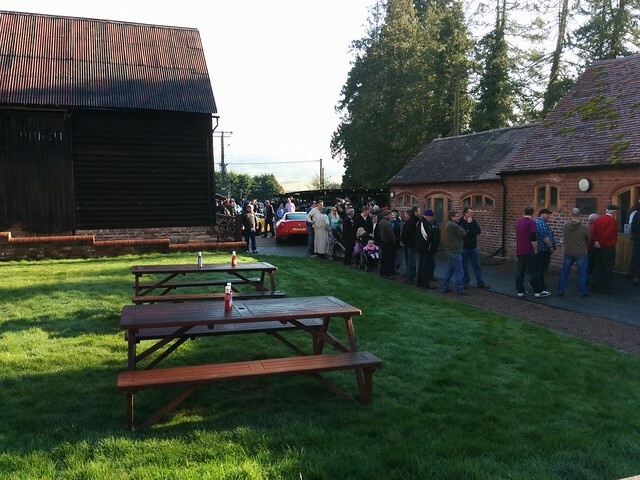 I have never seen this before, but when talking to a friend who had come for the first time (Mk3 Scirocco Turbo driver) he said that (from talking to someone he knows at the MAC) 290 people had registered to attend compared to a previous maximum from 2013 of 140. And that is the people who register, I am sure many don’t. 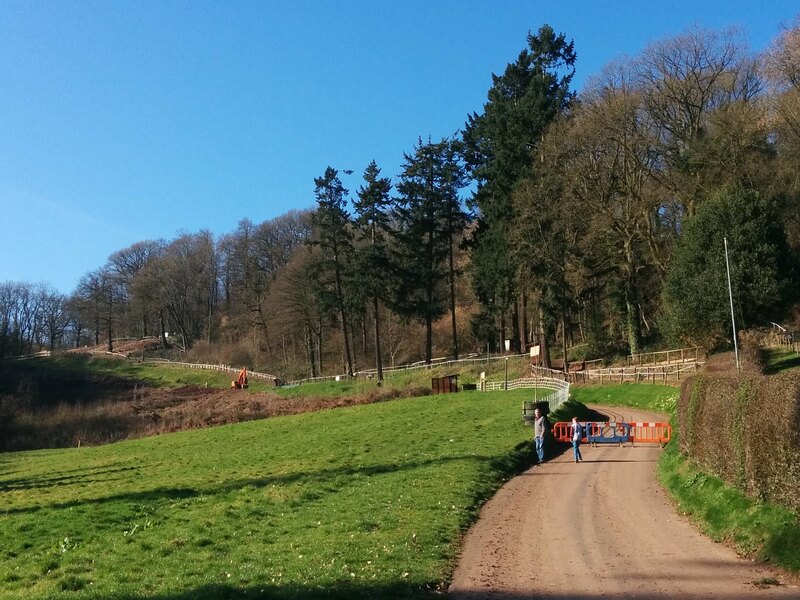 The track up the hill was closed while work is ongoing to repair damage following the recent wet weather. I hope that it completes before the first event of the year. We stayed until 11:20, by which time the paddock was emptying before heading off. The little chap in the passenger seat fell asleep immediately and the drive back was good. An overtake on the Worcester bypass resulted in the car getting sprayed with a bit of grit I hadn’t meant to get so close to the 350Z ahead that was also overtaking but it didn’t accelerate quite as rapidly as I had expected (but then 9.1 vs. 14.3 on the 0-100 is quite a difference). Having had 2 drives out on consecutive days in nice weather the missing lines in the dash display had all gone bar one. I think dampness plays quite a big factor in than, and even keeping it in the garage isn’t quite enough. Nothing beats regular use, and I am hoping for a good year where I can finally get the brake and fueling issues sorted, at sensible cost, and have some fun with the car! 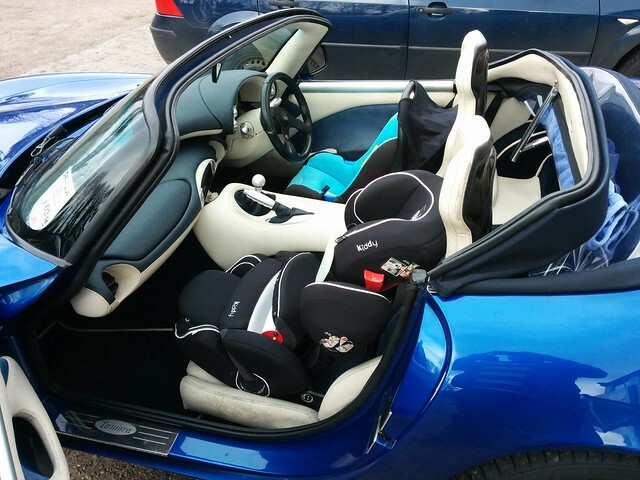 Saturday saw the TVR going to Hopscotch in Hereford for some car seat shopping. Seventoddler is growing out of his old baby seat. 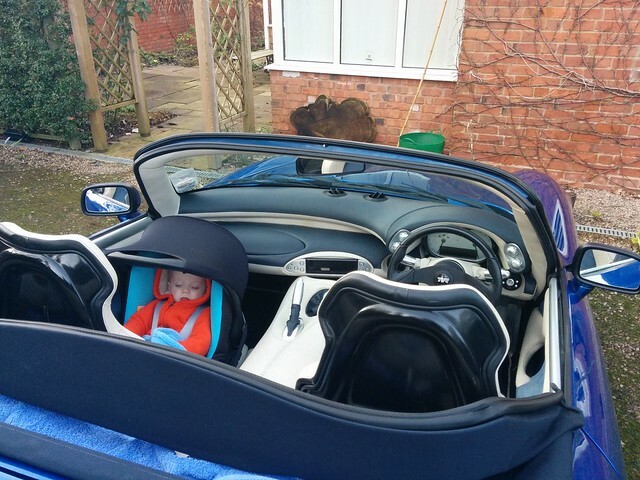 Our new Mondeo has Isofix and we bought a fancy Cybex Sirona Plus for that, but we need something for the TVR and our older (Mk3) Mondeo. The drive out to Hereford with roof on was ok, but the brake bias valve is turned fully out and still rattles. Hopscotch were very helpful with the seats and we tried a few. The tricky aspect of the TVR is the curve on the seat back as it goes up to the headrest. 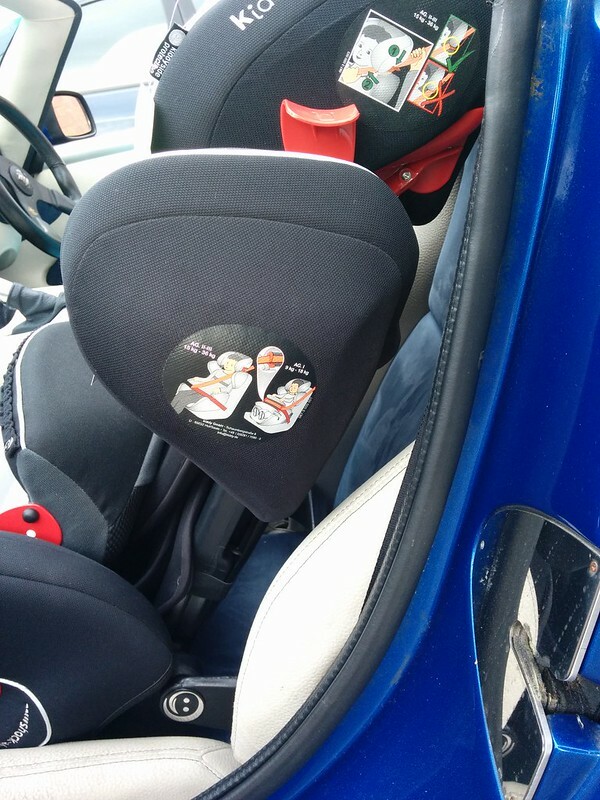 This is not a feature seen on many car seats that you might attach an infant seat to and means that some seats sit a bit far out (see pics below). 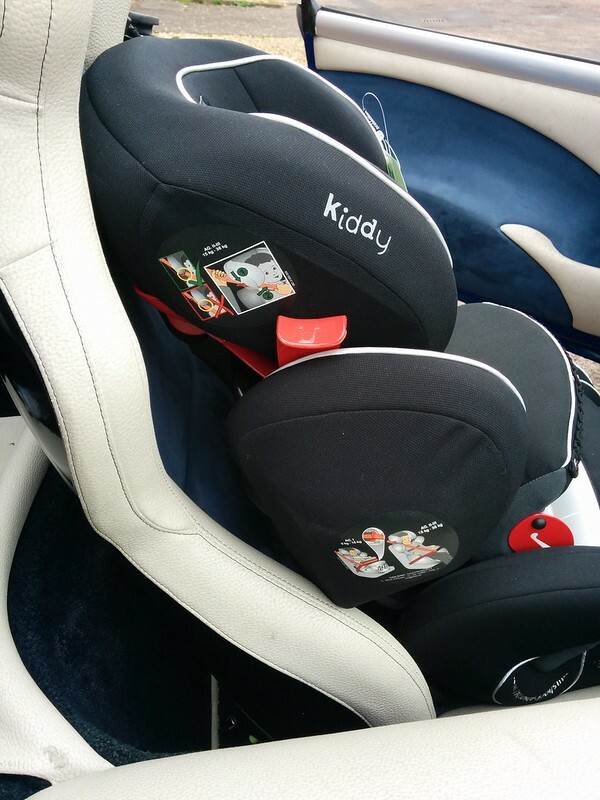 Of the seats we tried, we most liked the one that we went there for which was the Kiddy Guardian Pro 2. This may work in its smallest setting (good to about 4 years old), but when the back starts to extend for larger children the curve of the seat pushes it out further (more upright, bigger gap between child-seat back and main seat), perhaps too much. 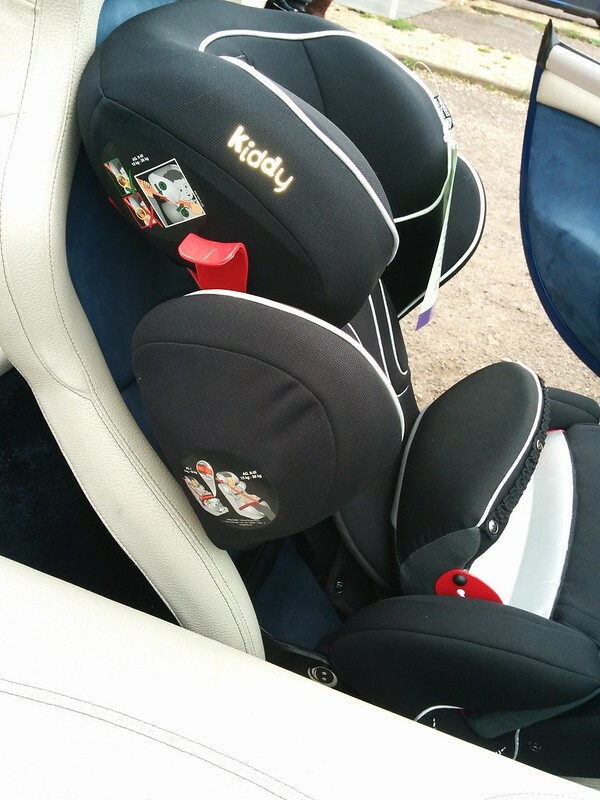 The Kiddy seat only makes contact at the base and the top – but perhaps this is ok as there is an extendable part on the base of the seat (the snooze / recline function) which makes contact on the TVR and in any other car would make it so that the seat also only made contact on the top and base. So this may work in the TVR until he is 4, and in the Mondeo until he is too big to need a car seat. It is a seat with a restraining pad rather than a 5-point harness. This is generally considered safer for all collision types apart from maybe a roll as there is (not conclusively proven) a greater chance of him coming out. 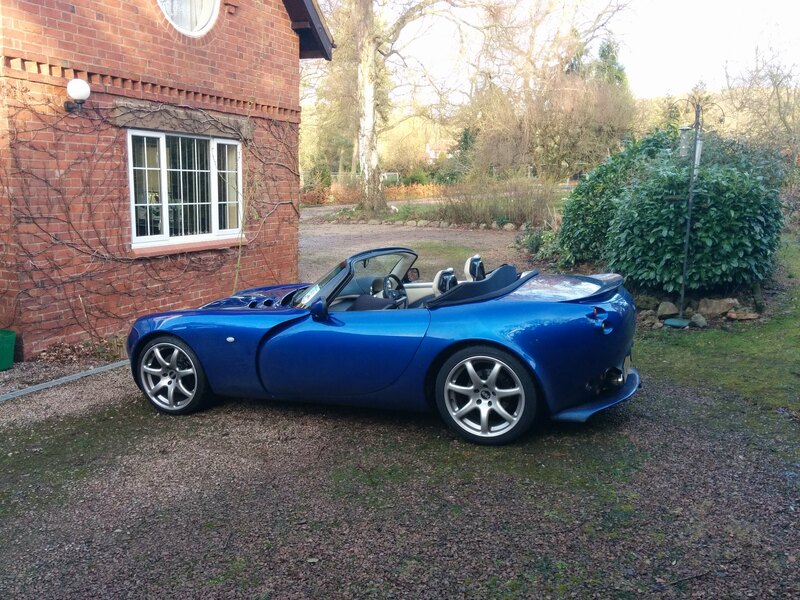 But he does so few miles in the TVR that there are probably more all-round benefits. 5-point harnesses are considered by some to be less safe for infants because they keep the body pinned and the head can move (what a HANS device stops in racing). Infants have small necks and big heads. Extended rear facing is considered safest, and the bumper pad next best as that allows the body to fold around it rather than just the neck bending. See this link for some illustrations. We need to ask Kiddy whether the fitment is ok. If it is, then we will probably buy that seat and find another solution for the TVR when he reaches 4. He should be ok in his baby seat for a little while yet so there is no rush. Some pics are below. If you click on a picture it should open a larger picture. His current car seat. Note – The TVR has no airbags. Seat only making contact at bottom, top and sides. But surely with the foot extended at the back it would be like this on most cars?